The 2011 BMW 1M is one rare BMW, with just 741 brought to the United States. Though it is going on seven years old now, it has held its value incredibly well. Part of owning a special car is maintaining it at a high level. 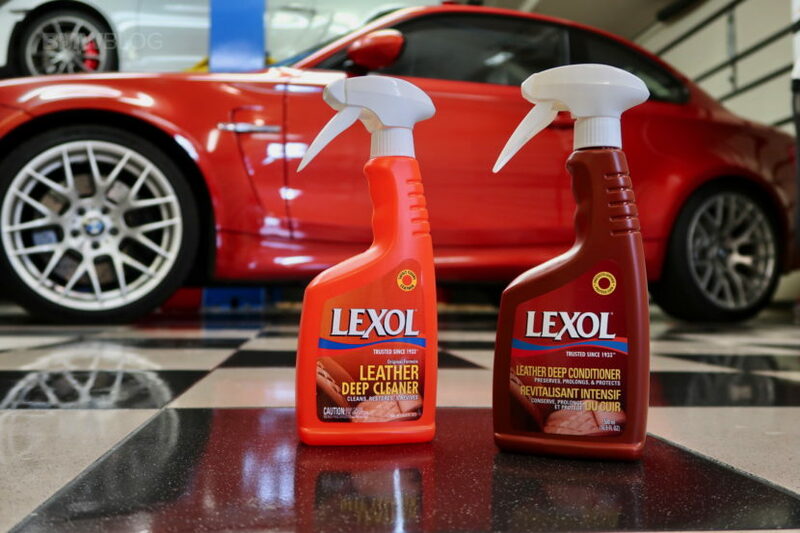 When it comes to keeping the gorgeous black leather seats with orange deviated stitching looking like new, we choose to use top of the line leather care products, which is why we partnered with Lexol®, to ensure this car is kept in the best care now and into the future. First, vacuum out the seats and make sure the car has been in the shade. 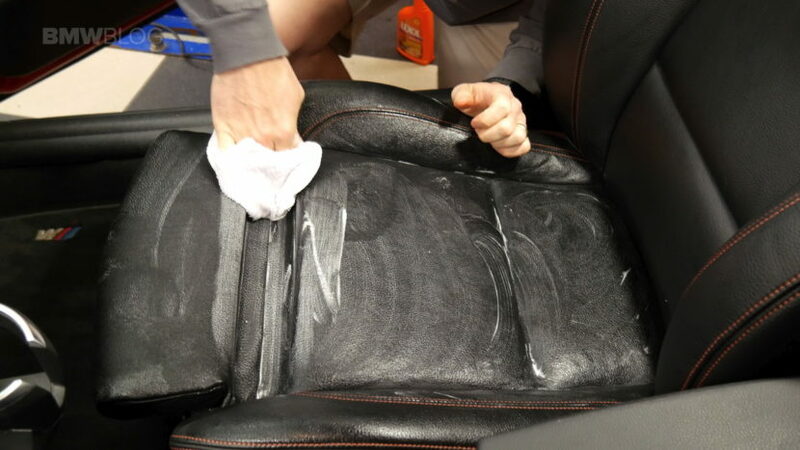 You don’t want to try to use any leather care products on hot seats. 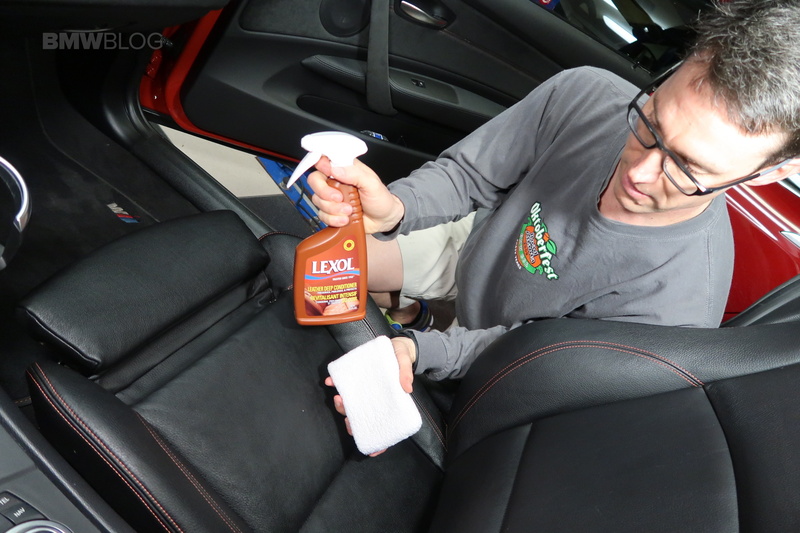 Dampen an applicator pad, then spray some Lexol® Deep Leather Cleaner on it. I use my fingers to agitate the product on the pad to get foaming started. Starting with small sections, work the cleaner into the seats making sure to get into the deep groves of the seats. 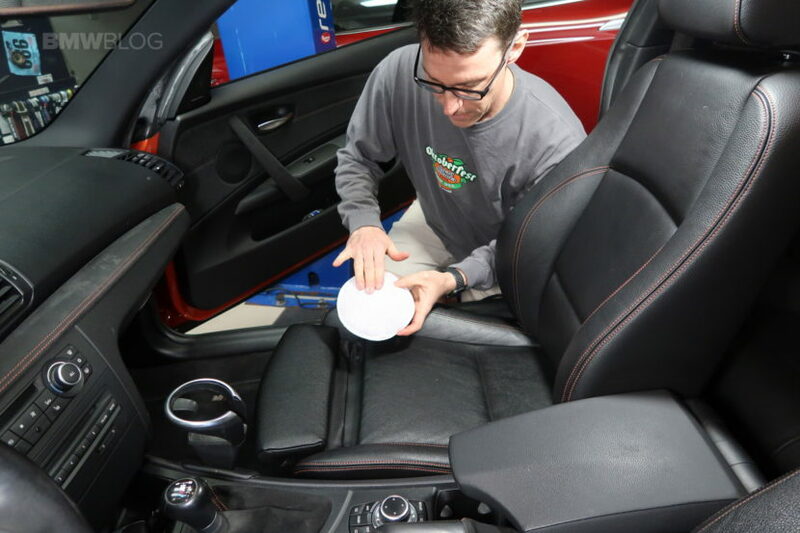 I do just one seat back or a seat cushion at a time as you need to get the cleaner off the seat while its soaping action is still present, as those soap bubbles have trapped and lifted the dirt and debris out of the seats. You don’t want it to dry and fall back into the leather. Next I use a wet detailing cloth to remove the leather cleaner. Once that is all gone, I use new detailing cloth to dry the section off. 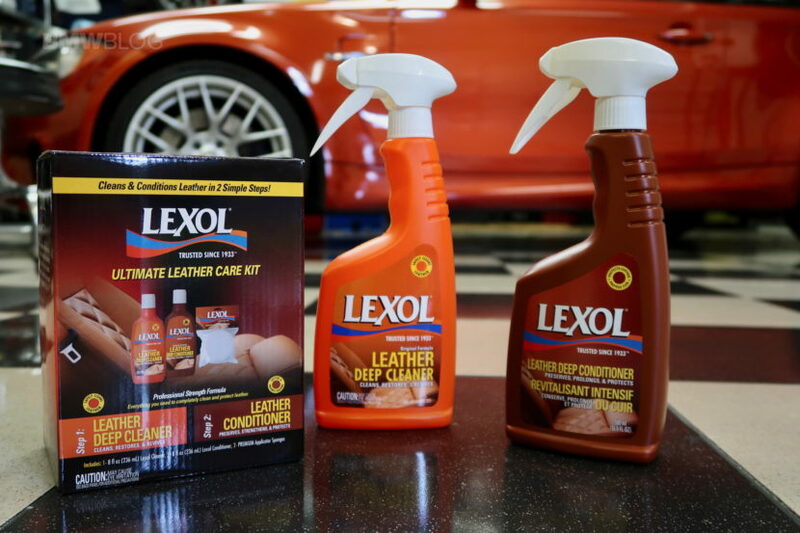 It is very important to use Lexol® Leather Deep Conditioner after you have used the cleaner. The conditioner helps replenish the oils back into the leather to keep it supple and protected. Make sure to use applicator pad and don’t put the conditioner directly on the leather, which can lead to uneven application. With the applicator pad, apply the conditioner onto the leather and into all the groves and pores. 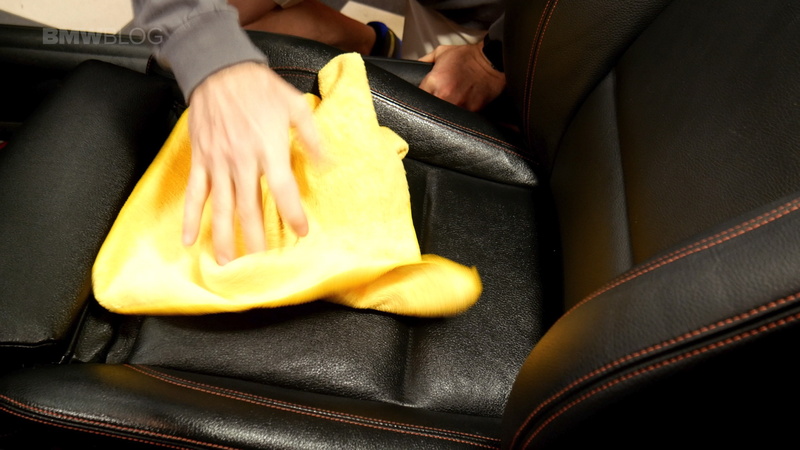 When this process is completed, use a dry, clean detailing cloth to remove any excess. 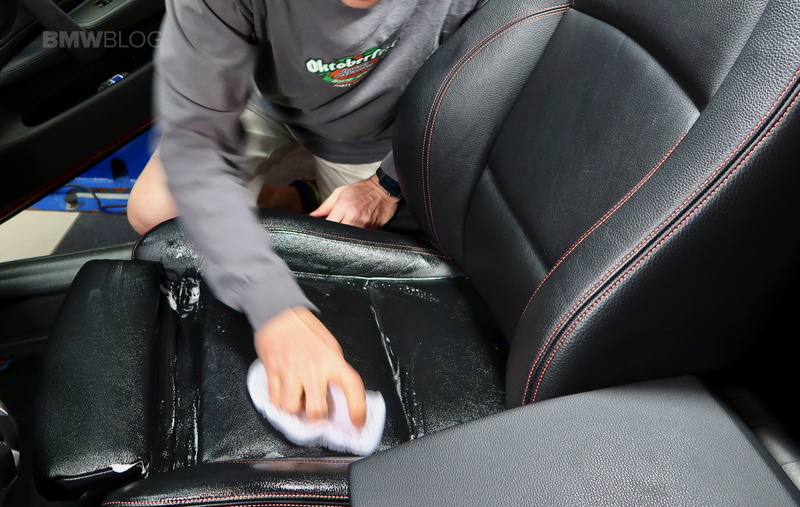 You don’t have to use applicator pads as you could use a detailing cloth. I find however, that I tend to waste more of the product as the cloth soaks up more than the applicator pad. Lexol® sells their pads separate or in a kit. 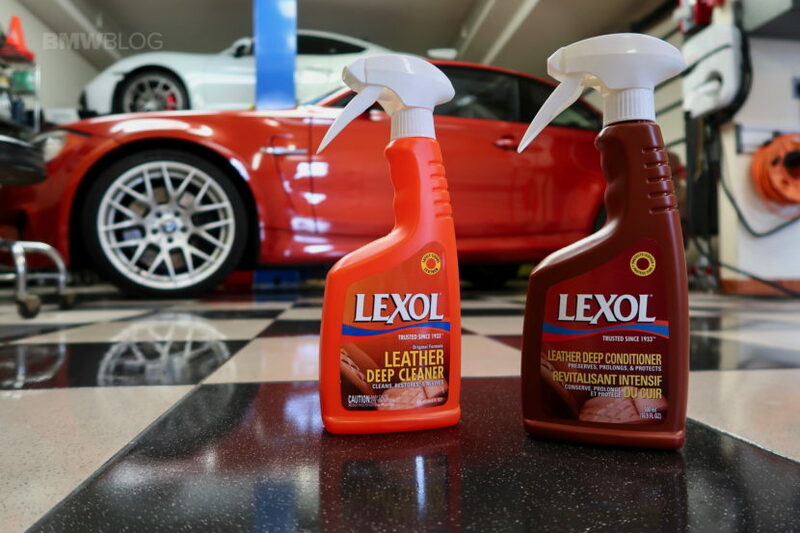 For this BMW 1M cleaning project, Lexol® sent me Deep Cleaner and Conditioner samples to try out, but you can find more information on both products and where to buy them by heading to lexol.com. Here’s a video we video we made to better explain the process.